Okay, so just a forewarning, this might be a bit of a rant. And this should be titled “Satisfying Endings”. I finally finished Dexter (thank you, Netflix) and (no spoilers) was extremely disappointed with the ending. After 8 seasons, I expected better, and although I haven’t read the books, so I’m not sure how the author ended his series, I was mad at the tv writers for not giving the fans a more satisfying ending. You have to stay true to the character, and after some time recollecting on Dexter as a character, I don’t think his character arc found justice in the end. This made me reconsider endings of other shows and movies and I couldn’t think of one that ended in such a way that I was left so angry and resentful. I even voiced aloud that I would never watch that final episode again. The distaste caused me to start rewatching earlier seasons to give me the love back. Even Game of Thrones, which has the power to shock and surprise me (I just started reading the first book), has left me hopeful, since there are still more episodes (and another book) in the works. So all this made me think about my own endings. I’m an 80s girl with a love for all things princess (thank you, Disney). 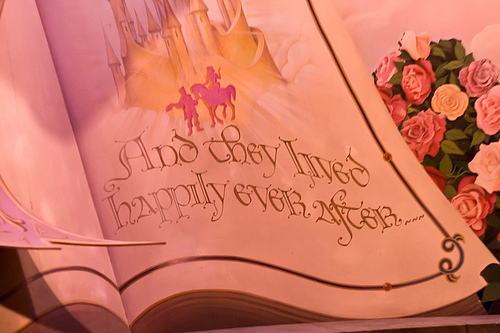 So I love a happy ending, but I want it to be warranted – that’s come with age. I also love foreign films. They tend to be more honest. They might not end the way we want, but most of the time you’re still satisfied, or at least understand that life doesn’t always work out the way we expect or hope. This is the blessing about variety. The whole point of film is escape (documentaries aside). I enjoy becoming invested in a story, walking in a character’s shoes sometimes so different from my own, and escaping into another world, and depending on my mood, there’s a movie that can fulfill those expectations. *Obviously, novels work the same way. I’m a screenwriter, so I tend to refer to films more often. I recently wrote a blog about a few things I learned while attending an event where a producer talked about the 5 elements of well-being in both life and writing (movies in particular). What she said was to “end your movie at the peak of audience satisfaction”. The truth of the story is “the relationship”. Which relationship is the most important? And how it’s portrayed is what gives us that satisfaction. Take Rocky for an example. In the end, he doesn’t win the fight, but does end in his woman’s arms. A movie for guys ends with a sort of bait and switch, where the accomplishment becomes secondary to the relationship, but you don’t know that until the end. What are considered “women’s movies” are all about the relationship. And it doesn’t have to be strictly the romantic relationship, but whichever relationship is the most important. We, as the audience, love to watch a character survive, to overcome great obstacles, but it is the moment after, between the hero and their loved one, that completes the story for us. Of course there are modern-day tragedies, like The Girl with the Dragon Tattoo, that are about achieving the goal without the relationship, but it all depends on the story you’re trying to tell. I told you this was a rant, but thanks for letting me get it off my chest. I don’t really have a tip to solve this dilemma, except to say, do right by your characters…and may they live happily ever after. Best of luck in your writing endeavors! Interesting, though. We often watch Horror movies or sad movies to feel a level of emotion that reminds us we’re alive, but a tragic ending (romeo and juliete) does not necessarily mean a dissatisfying ending. A tv series in Australia called Offspring recently contained a dramatic twist that enraged viewers due to it’s emotional manipulation, killing off a beloved character in a turn of events that really struck a deep nerve with the entire population of female viewers. Many vowed never to return to watch the series. I was one of them, although my outrage was more a case of “I can’t be bothered getting emotionally invested in this any more”. I don’t even know if the series is going to continue after that. I haven’t even looked to see if it has returned (also thanks to Netflix). It is obviously a fine balance for the writers between acceptable shock endings and an ending that goes too far. I’m 2 seasons behind in Dexter, so I will have to wait to catch up before I can join your outrage on that. I believe there’s this new idea, especially in television, because the audience has changed, to try to be “edgy” and shock. I’m not sure if it’s in part because we’ve become a little desensitized, the amount of things we’re exposed to on a daily basis take their toll, so writers are having to take bigger risks to garner a reaction. When you catch up on Dexter, send me a message. I’d love to hear your perspective! And I’m intrigued by Offspring. Was it good otherwise? It started out amazing but did get a bit cartoonish. It’s a comedy so the shock death was really not funny and really just cruel. I think you’re right about writers trying to find ways beyond our apathy in viewing. We have become desensitised. I respect the writers bold choices but it doesn’t make me want to engage with their shows. You can do death and comedy (Death at a Funeral), but it doesn’t sound like that’s what happened. Thanks for letting me know, I’ll be sure to pass. I hate feeling like I wasted my time. I think the other problem is that there are just too many choices with all those channels vying for viewers. They can turn off a handful in the hopes that they will gain more because people will want to know what all the fuss is about..